2019 edition with splattered vinyl ltd to 500 copies handnumbered and digital coupon included.The Morlocks are a real rave-up - truly garage thrash. Singer Leighton goes through his paces with a voice that knows no pain. The guitars play full steam on just about every number. 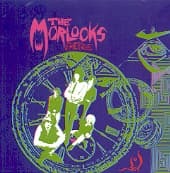 The Morlocks are a sort of cross between the Standells, the Count Five and the Phantom.